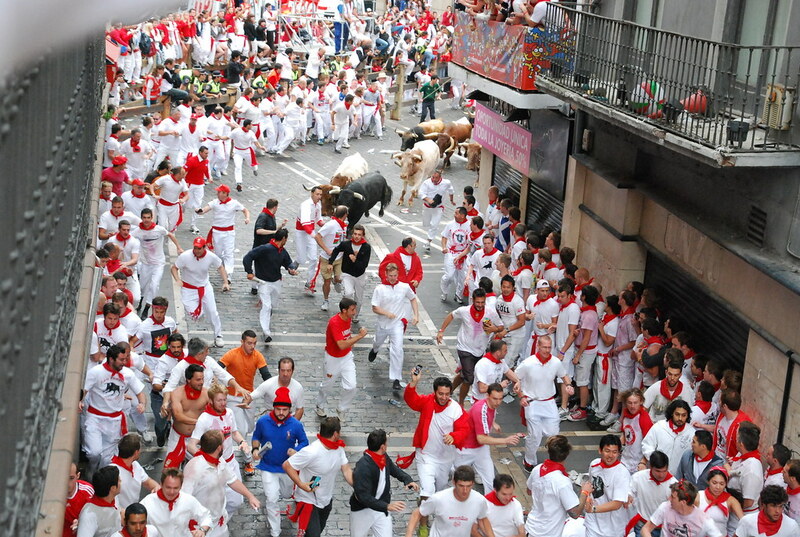 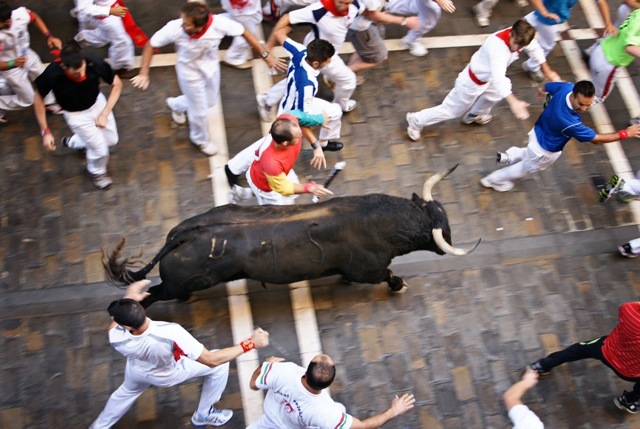 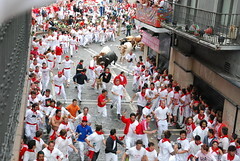 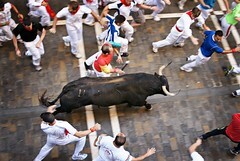 The Running of the Bulls during The San Fermin Fiestas has helped make Pamplona famous all over the world. 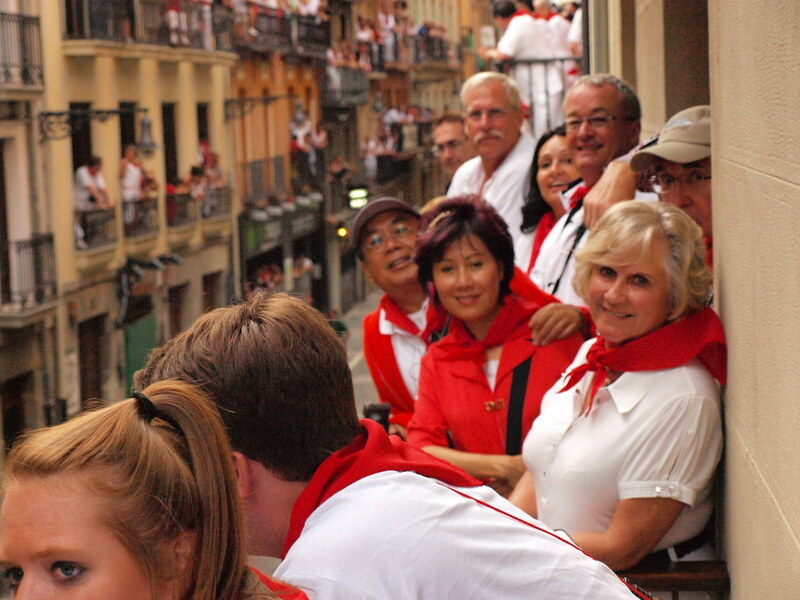 Following in the tracks of Hemingway, millions of people dream of coming to Pamplona for fiestas between the 6th through the 14th of July We are local people and we are part of the annual fiesta. 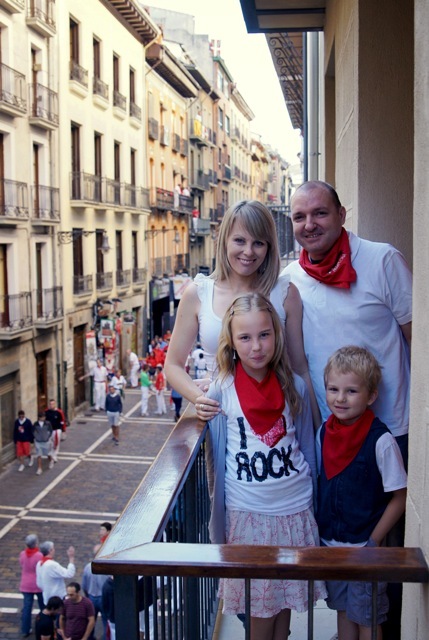 From the time when we are young children we participate in the fiestas and all through our adolescence and into adulthood. 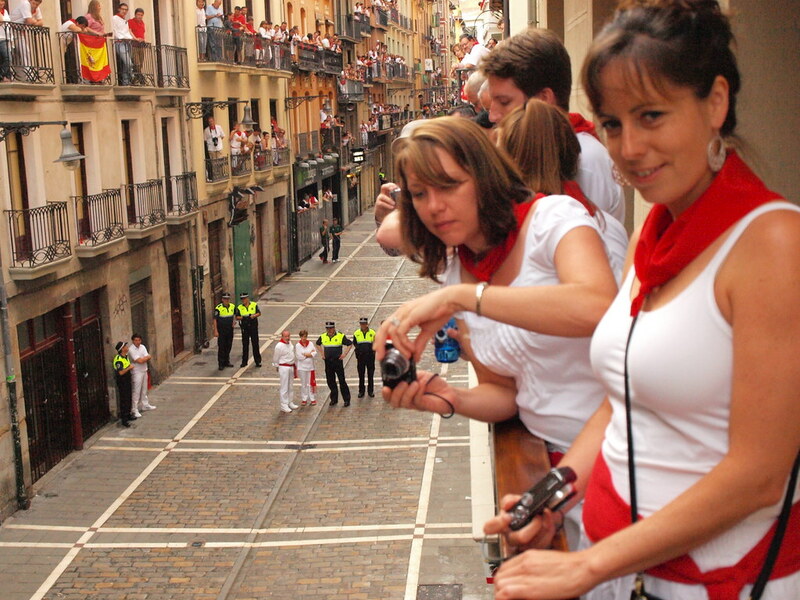 And now we share our experiences with visitors who wish to take up our offers of hiring out a balcony for The Running of the Bulls. 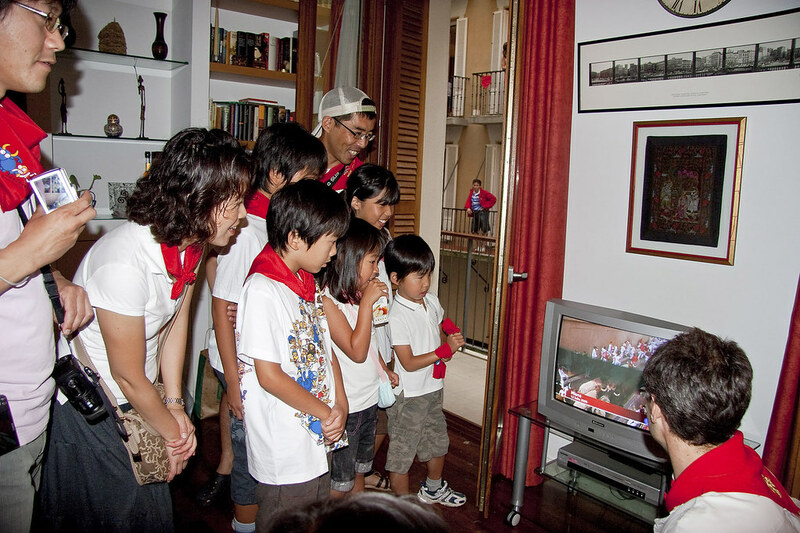 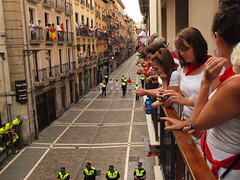 Ever since some fifteen years ago when an American couple requested help from us to find a balcony for hire to watch The Running of the Bulls, we have gradually built up a series of the best balconies along the stretch of the run from which to watch this exciting event. 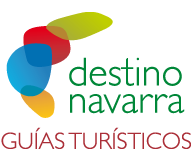 We can also advise and help on all the other important events that take place during fiestas. At present, and in collaboration with www.sanfermin.com/booking we have created an advice program for any clients who wish to get the opinion and guidance of local “Pamplonicas”. 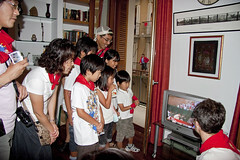 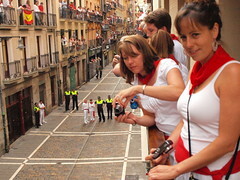 Many visitors who come and who are already familiar with the San Fermin Fiestas often wish to hire a balcony directly from the Online sanfermin.com web page. Balcony Hire for The 2016 San Fermin Running of the Bulls [vimeo]https://vimeo.com/86494106[/vimeo] Want to join us?